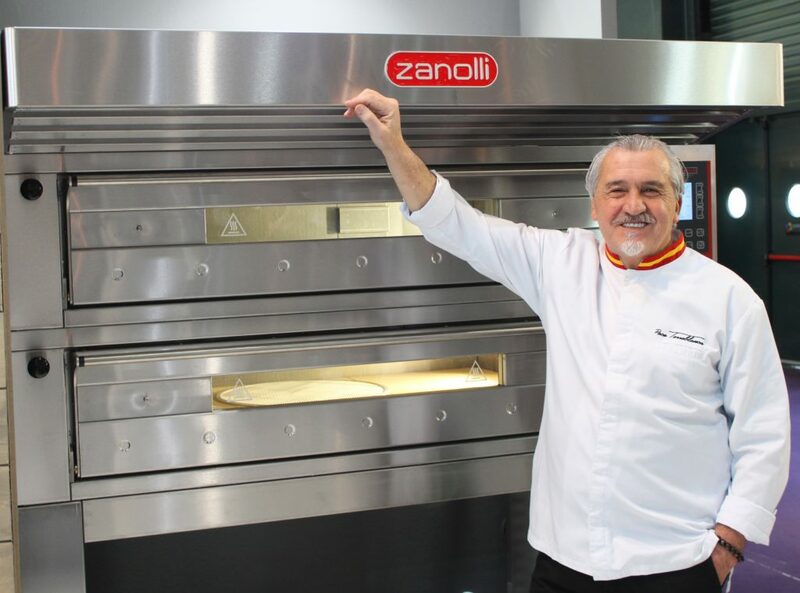 Master Paco Torreblanca, renowned teacher and honoured with numerous awards, yet always humble and cordial, has collaborated with Zanolli for years and uses our ovens in his Escuela Torreblanca. To whet your appetites in anticipation of the INTERSICOP bakery and patisserie trade fair, we have cooked up a tasty interview with the Maestro. Come and visit us at our stand to experience the live show cooking with Paco Torreblanca and his Escuela! 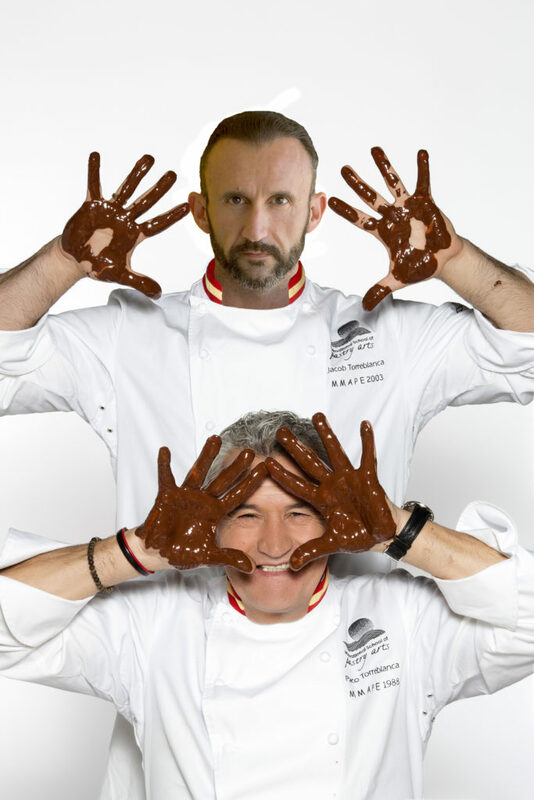 Maestro, tell us about your experience in the TV programme Best Bakery Italia: what struck you the most? What differences did you notice compared to Spanish patisserie or international patisserie in general? P.T. 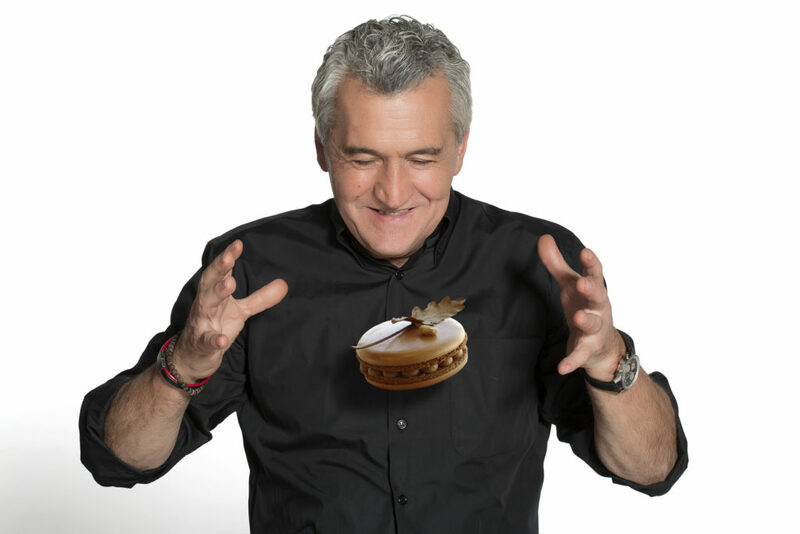 : For me, the television programme was an amazing experience that taught me about Italian pastry from the north to the south and I found some similarities between certain sweets from southern Italy and those from southern Spain. I also noticed that production is much more industrialised in the north, just like in Spain. In any case, it is very important for me not to lose your identity. Besides being a renowned pastry chef, you are also a successful entrepreneur and a highly esteemed teacher. Was this your plan from the beginning? How has your business evolved over the years? Are there any other projects that will be launched in the future? P.T. : My profession has always been the most important thing for me and I’ve always tried to create new ideas and concepts when I am with my students. I try to convey my professional philosophy and ensure that they acquire a passion for the profession. My plans for the future are to continue with my school and consolidate the other school I have in China. The reputation of many European traditional and pastry chefs extends with ever greater frequency beyond national borders, and projects are multiplying in countries with very different culinary traditions (take China for example). Is there a process of adaptation to local resources and tastes when it comes to importing high-end desserts and pastries? Can this result in a loss of identity or can the contamination stimulate creativity? Can you give us some examples? P.T. : Every time that we export ideas and products to cultures that are different from our own, I believe it is important to maintain our own identity and our gastronomic culture without making the mistake of mixing too much. Nevertheless, it is always good to keep an open mind towards new ingredients. For example, if we traditionally eat lemon tart and we replace lemon with Yuzu, we keep our identity without losing our true essence. As you well know, many businesses in Italy are family-run. For you too, passing on knowledge and entrusting roles of responsibility to family members seems to be a winning formula. How is the working relationship in these cases? P.T. : In Spain, as in Italy, there is a strong and deeply rooted family tradition. These kinds of relationships are not always simple because the newer generations have different ways of thinking, but it is up to us to give way to them wisely, giving them advice if they ask for it. Tell us about your famous Panettone (Italian cake eaten in the Christmas period). When were you inspired to give it a try? Did you expect this success? P.T. : I never expected the success of the Panettone in Spain and other countries, so I really must thank the Italian culture of the traditional handmade panettone, which allowed me to appreciate the deliciousness of this product. I must also thank my friends Iginio Massari, Achille Zola and Vittorio Santoro for their advice, which was extremely useful to me and to which I gave my own personal interpretation. 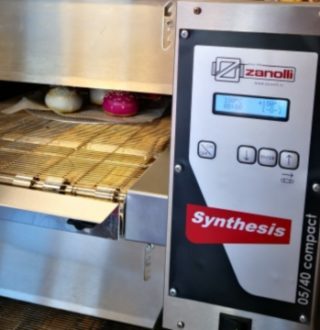 Focus on using local products or with low environmental impact is becoming increasingly important in the kitchen. Is the same also in patisserie? What are the main challenges and opportunities of this choice? P.T: Actually, whenever I can, I use products from my local region in Spain. It is not always possible, but I am convinced that it is the path to follow because in this way our recipes will have the authenticity of each of our countries and regions. The issue of reducing waste in the catering world is very important to some professionals and to consumers themselves. What measures do you adopt in your working method to embrace this approach? P.T. : This is a serious problem. I try to study our recipes to ensure as best I can that the leftovers are minimal, using every kind of recycled packaging. It isn’t a simple matter. I remember that when I was training in patisserie in Paris there was a very low volume of waste, perhaps because the raw materials were the most expensive and there was a great deal of discipline. Nowadays, the workforce costs more than the raw materials, which perhaps explains the great amount of waste. In your experience, you will have undoubtedly witnessed the evolution in the taste and aesthetics of pastry creations. Have you noticed any dominant trends? How do professionals and consumers interact? Is there a mutual influence? P.T. : No doubt, some professionals give a lot of importance to the trends and like to offer them. Many are successful, but for me flavour has always been more important. Of course, appearance counts as well and, if you manage to achieve both, then what you offer is almost perfection. I have always believed that my customers value what I offer, which is why, every year, I offered a different selection every 6 months, depending on the season of the year, summer or winter. I think this maintains creative and attractive contact with the consumer. Even the tools you use in patisserie are a kind of invisible basic ingredient. 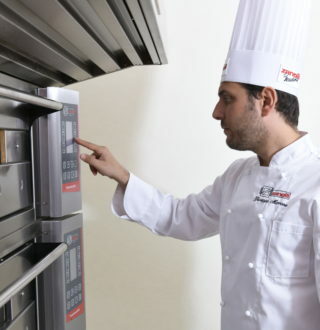 What matters most to a pastry chef of your calibre? In your long experience, what has struck you the most in the evolution of the work tools? What are the limits and advantages of technological progress? P.T. 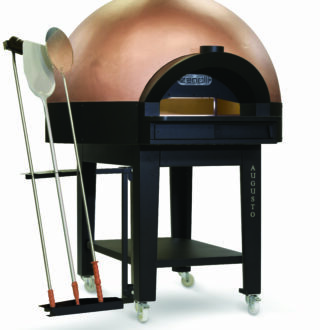 : New materials, moulds, silicones, freezing and more have changed the world of patisserie. They have allowed us to create new shapes in terms of aesthetics and decoration, which were unimaginable until just a few years ago. Furthermore, the new machines, tools and freezing systems have allowed our profession to become more human. 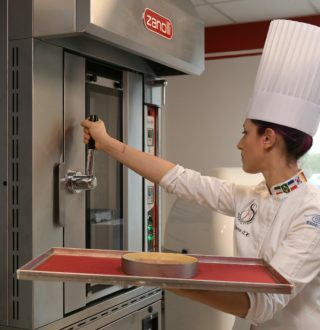 Would you like to share any advice to aspiring pastry chefs? P.T. : You must have passion and creativity in this profession, but you must also be ready for hard work and sacrifice. Personally, my work has given me all of this. I can assure you that with effort and commitment, you can have everything you want.